Cut the peaches in half and remove the stones. Place the peaches in the bottom of a greased dish, flat side up. 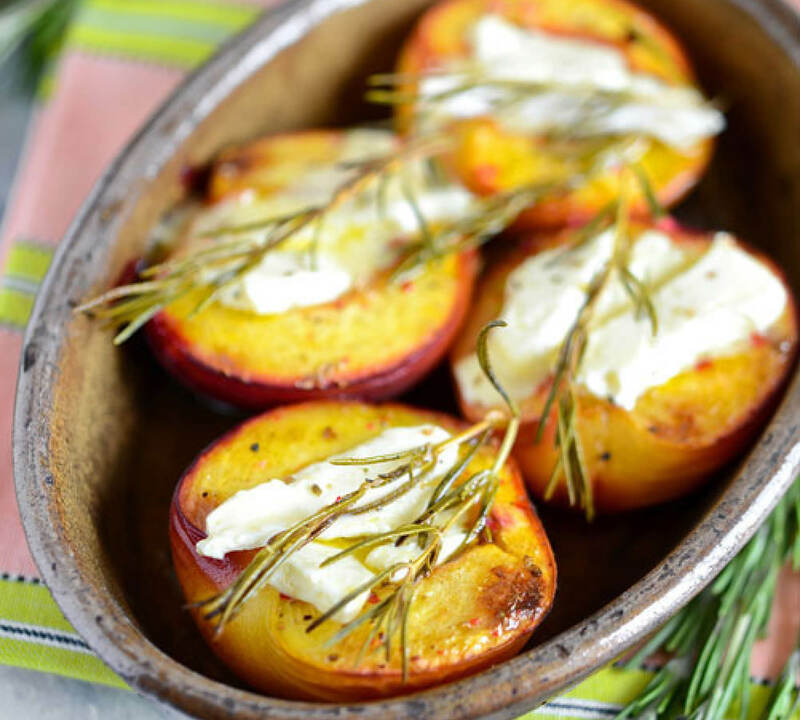 Pour the honey on the peaches, add the rosemary and cook in the oven for 10 min. Remove from the oven, place half a peach, still warm, on each plate and fill the centre with a small amount of Brillat-Savarin. Decorate with a sprig of rosemary and pour a bit of juice onto the plate.